Gib hier Beschriftung und die gewünschte Jahreszahl ein (siehe Artkelbeschreibung oder Unterfotos). In memory of the Elementary School an absolutely original unique. Fabric album cover in handcrafted. 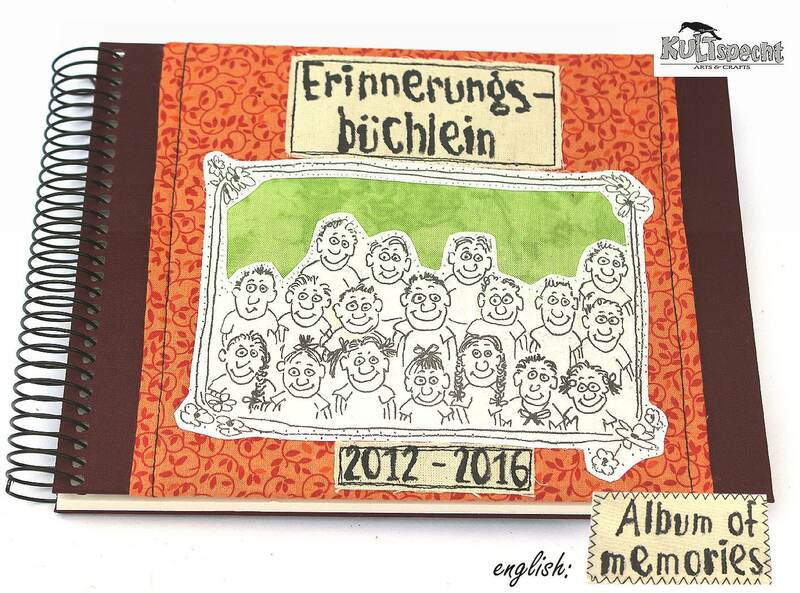 It is a Goldbuch photo album with 20 sheets / 40 pages. Available with black or white leaves. The handmade fabric cover is only overcoated and thus the drawing is protected it has got a dirt-repellent surface seal. This means you can wash the fabric sleeves without any problems. For the large XL version comes an extra charge of 15, -EUR at the specified price. Also for the special inscription 4, - €. The constantly recurring text modules (reminder book, primary school, reunions) are included in the price, also the annual figures as requested. Only for the individual school name I have to charge an extra charge.